The latest albums from Cities & Memory highlight the variety of nature’s sounds. One set is pure, the other musically adorned. They serve as an entry point to an even larger body of work spanning “55 countries and almost 500 sounds.” There’s something for everybody, from birdsong to blowholes, hot springs to hurricanes. As expected, one can find plenty of sounds to sleep to: crickets, cicadas, light surf. But one may also discover startling noises, like the cacophony of a rain forest; or marvel, and perhaps be motivated by, the sound of a melting glacier. Cities & Memory is aware that people have different preferences, so they’ve made their sounds as accessible as possible. One can search through their site by category, or one may enjoy their curated sets. 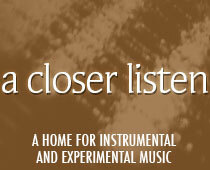 Sounding Nature – the recordings is “a selection of the best field recordings” from the project. On December 14 (if history holds true) they will also release their annual overall compilation Sounds of the Year. The tracks range in length from two minutes (the baboon and orangutan recordings) to nearly twenty (frogs, a dawn chorus, a “storm in a shipping container”). Of these, the most powerful is “Hurricane Harvey,” a live recording of the storm as it burst over Houston on August 26, 2017. Tim Grieve-Carlson’s recording is the aural equivalent of astonishing video footage; this is the storm. This is the rare time when human “intrusion” adds something to the story, as the occasional passing car or alarm alerts listeners to the cost in human life and property. In other instances, Cities & Memories reminds readers that man-made sound can disrupt natural habitats, interfering with migration, breeding and overall health. It’s probably best to think of the recordings more as a sampler than as an album, as the tracks are so varied. It’s hard to go from hurricanes to hippos and preserve a sense of flow. But Eloisa Matheu de Cortado’s “Hippo Pool (Kenya)” is particularly evocative, a rare recording that this reviewer has been fortunate enough to encounter in a game preserve outside Nairobi (albeit without carrying recording equipment). The same holds true for “Cotswold Lavender (England)”, which opens up an area known more for its cheese than its bees. The set closes with Martina Testen’s particularly rich “Exploring the Mesnjak Forest (Slovenia), a dense soundscape occupied by a myriad of fauna. Sounding Nature – reimagined sounds is a different animal (pun intended), as various artists remix and repurpose the original recordings, adding sounds of their own, some intensely musical and others abstract. Richard Watts hears patterns in an Icelandic storm and brings them to the fore, mirroring natural rhythms with percussion and tone. Matt Chapman Jones finds the ambient heart of a Vietnam sunrise, while Nick Jones adds poetry to the sound of Senegal sand. The most effective pieces are those in which the field recordings can be heard through the sonic curtains; an uncredited remix adds chainsaws to the aforementioned Slovenian forest, underlining the threat to natural environments in a manner that recalls Coldcut’s “Timber.” And Rob Knight preserves the sound of the sea, making it the base of the brooding “The Siren Call (England)”.